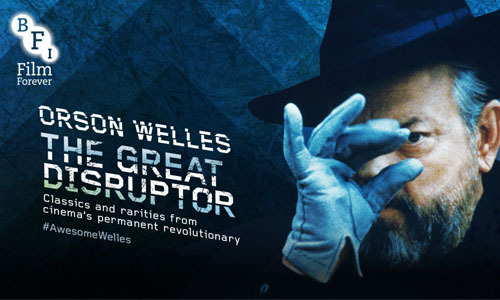 Throughout July and August, BFI Southbank in London will screen a comprehensive season of Orson Welles’s work in both film and TV, including his big classics, Citizen Kane (1941), The Magnificent Ambersons (1942) and The Lady from Shanghai (1948), and less familiar titles like The Trial (1962), The Immortal Story (1968) and F for Fake (1975), kicking off with StudioCanal’s restored print of The Third Man (1949), which begins a month-long screening from today (Friday 26 June). 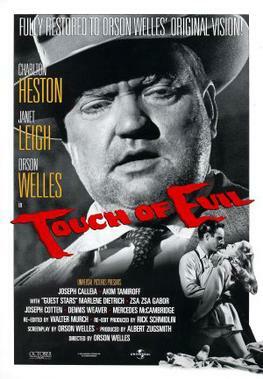 It will also include three remarkable adaptations of Shakespeare: Macbeth (1948), Othello (1952) and Falstaff Chimes at Midnight (1966), the latter compiled from five plays and widely considered a highpoint of Welles’ remarkable career, and which also gets a 50th Anniversary Restored Edition is released on 29 June on DVD and Blu-ray from Mr Bongo Films. The season will also include some rarities, including the recently discovered Too Much Johnson (1938) – which is also set for a Blu-ray/DVD release from Mr Bongo Films – and six compilation programmes, featuring shorts, trailers, TV productions, theatrical adaptations, documentaries, and unfinished projects. 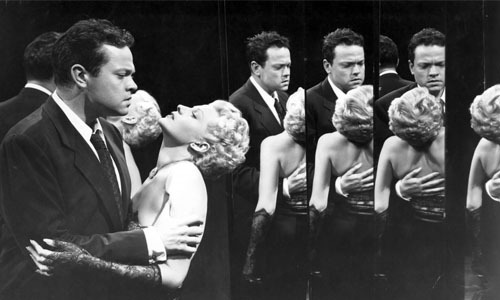 The 1948 hall of mirrors noir thriller is charged by the on-screen chemistry between Welles and his then-wife Rita Hayworth. This definitive restoration from Colorworks at Sony Pictures, scanned at 4K from the original nitrate negative, recently appeared in the Official Selection Cannes Classics lineup, and will be screened during BFI’s Welles centenary celebrations on Friday 17 July and Thursday 23 July. This 1949 noir classic is a consummate production, from Graham Greene’s witty, disturbing screenplay to Robert Krasker’s evocatively skewed photography and Anton Karas’ unforgettable zither score. But, despite his minimal screen time, Orson Welles’ amoral Harry Lime steals the show – thanks partly to the famous ‘cuckoo clock’ speech penned by Welles himself. Re-released by StudioCanal in a new 4K restoration in cinemas on 26 June and on DVD and Blu-ray on 20 July. In 1955, Associated-Rediffusion commissioned Welles to write, direct and host this ground-breaking mini-series filmed in Europe. Part home-movie, part cinematic essay, each of the six episodes takes the viewer on a fascinating journey across Europe. In Paris, we are introduced to famous artists such as Jean Cocteau; in Madrid, we attend a bullfight; and in Vienna, in an episode which was long believed lost, we are taken to the locations of The Third Man. Released on BFI DVD and limited edition Blu-ray on 24 August. 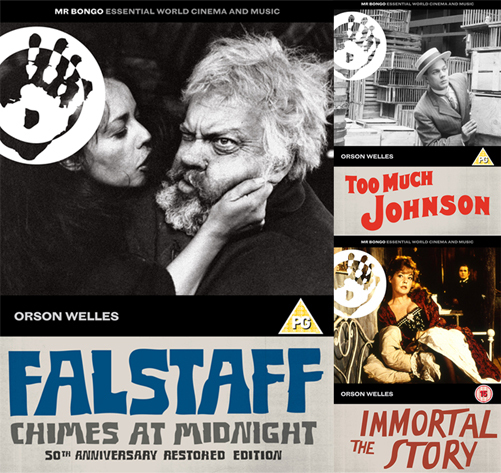 One of the most radical and groundbreaking of all Shakespeare adaptations, 1965’s Falstaff: Chimes at Midnight was Welles’ favourite of his films and gets a DVD and Blu-ray release on 29 June 2015 from Mr Bongo Films, along with the legendary director’s first feature, Too Much Johnson (1938) and his second-to-last feature, The Immortal Story, starring Jeanne Moreau. Released to mark Welles’ centenary, awarding-winning filmmaker Chuck Workman’s documentary is an illuminating portrait of one of cinema’s most extraordinary personalities.  Released in selected UK cinemas on 3 July and on DVD on 24 August.